When most motorists buy a car, the last thing they want is to make any modifications that could lessen its value or make it dangerous to drive. However, some drivers love to put their own stamp on their wheels, often going to extreme lengths to make their car stand out from the crowd — and for all the wrong reasons! Car modification is big business in the UK, with some drivers splashing out thousands on aftermarket parts and alterations. 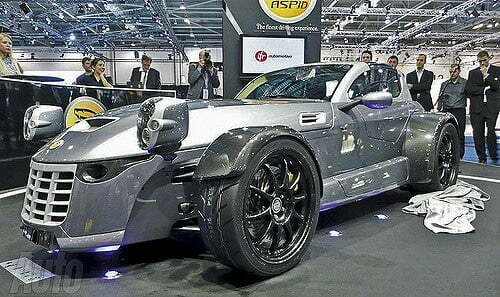 But what are the most hideous, albeit hilarious, modifications you can make to a car? 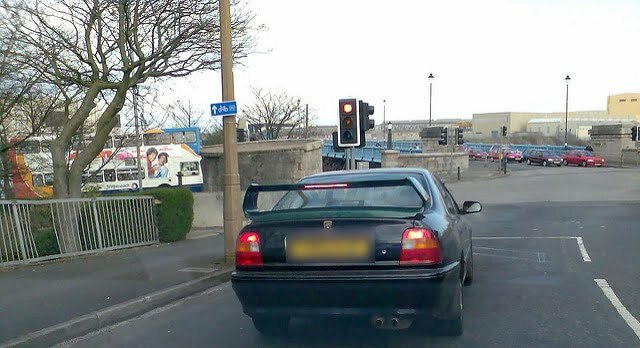 Here, we showcase 10 of the worst car modifications. Blame the Fast and Furious franchise for the arrival of full body kits. Inspired by the definitive bloke that is Vin Diesel, young drivers have long raided their dad’s toolbox to bolt body kits to their cars — with largely god-awful results. Not only do full body kits look ridiculous 99% of the time, they can be dangerous and are liable to fall off at speed. Everyone loves an alloy wheel, but not when they’re fastened to the side of a clapped out Saxo. Alloys are often the first port of call for modification enthusiasts looking to give their car a sporty look, but they often overkill it by choosing wheels two or three inches too big. Massive alloys stuffed under a small wheel arch can cause all sorts of mechanical problems. Plus they look utterly rubbish, so avoid at all costs. car and drive around in a spectrum of gaudy colours. Another mod inspired by F&F, neon lights are about as unnecessary as car modifications get, and can cost a fortune to buy. Plus they’re ridiculously fiddly to wire up, and put additional strain on the battery. Our advice? Stick to headlights. If turning heads on the high street is what you want from your car, get yourself a big old tailpipe. Like spoilers, the unspoken rule about exhausts seems to be the bigger the better. Some drivers mount dustbin lid-sized pipes to their car so they can be heard for miles around, but their arrival is often met with the odd chuckle after bystanders realise they’re driving a Fiesta not a Ferrari. For most drivers, the idea of sticking anything to their car’s paintwork is enough to make them shiver. For car mod fanatics however, stickers and decals are all the rage. From funny slogans to manufacturer logos, decals come in all shapes and sizes, but there’s one thing they all have in common — they look totally crap. One thing we will say is carmodifiers must have the patience of a saint, because affixing a sticker is a fiddly business. No matter how convincingly you add a fake ‘GTI’, ‘RS’ or ‘Type R’ badge to your car, you aren’t fooling anyone. Used to give rubbish cars more prestige, fake badges are available to buy for most manufacturers, so people can spruce up their ’96 Polo with VW’s GTI insignia. And it isn’t just the exterior that gets tampered with. Many motorists head inside and get creative with the cabin, adding a sparkling gear knob, alloy pedals and a mock leather steering wheel cover. While these mods are incomprehensibly tacky, at the very least they’re not permanent, and won’t reduce the car’s resale value — unless you add bucket seats or a race roll cage that is. 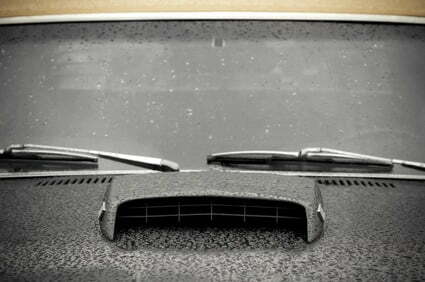 Windscreen wipers are never a car’s selling point. In fact some manufacturers go to great lengths to hide a car’s wipers when not in use. So why anyone would want to add aluminium wiper blades is beyond us. Sticking out above the bonnet like a sore thumb, these glitzy add-ons look more cheap and nasty than sporty and glamorous. Ridiculous spoiler or not, you can easily restore your car’s just-bought feel with Simoniz. Our products are developed to help you clean, shine and protect your paintwork, so your car’s always looking its best. 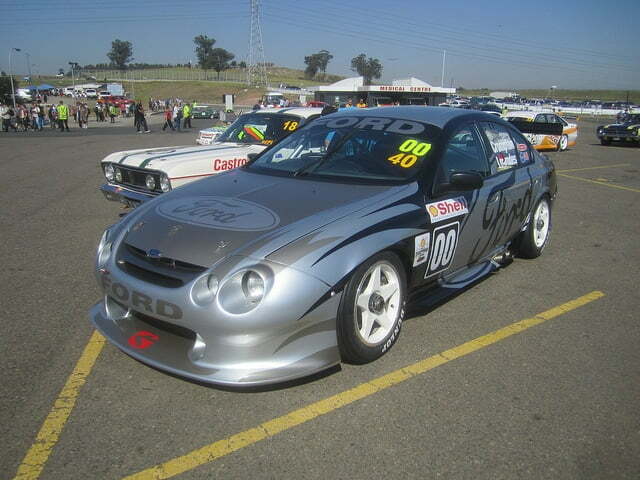 To find out more visit the Simoniz homepage. Image credits: Tom Irwin, Brian Snelson, Alx_chief, Sicnag, Mitch Barrie.